Vegetables are classed as either warm- or cool-season, depending on the weather they need for best growth. Warm-season veggies require both warm soil and high temperatures (with a little cooling at night) to grow steadily and produce crops. 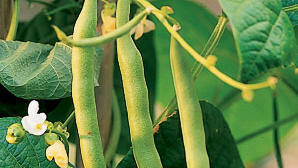 They include traditional summer crops such as snap beans, corn, cucumbers, melons, peppers, tomatoes, and squash. “Winter” squashes such as acorn, hubbard, and banana are actually warm season crops: the name refers not to the planting season, but to the fact that they can be stored for winter consumption. For almost all of these vegetables, the fruit (rather than the roots or leaves), is the edible part. Warm season crops are killed by winter frosts, so don’t plant them until after the last frost in spring unless you give them cold protection. These crops don’t fall neatly into a cool or warm season category. Asparagus ― Plant seedlings or roots in fall or winter; early spring in cold-winter areas. Cut first spears early during year two; plants take three years or so to come into full production. Garlic ― In mild winter areas, plant in fall; where winters are cold, plant in early spring. Leek ― In cold winter regions, set out transplants in early spring, or sow seed in late summer for harvest the following year. In mild winter regions, set out transplants in fall. Parsley ― In cold climates, plant in spring, after last frost. Plant in fall or early spring where winters are mild; in early fall in the low desert. Parsnip ― In cold winter areas, sow seeds in late spring, harvest in fall. In mild winter areas, sow in fall for harvest in spring. Shallot ― In mild climates, plant in fall to harvest green tops through winter and spring, bulbs in late spring and summer. In cold climates, plant in early spring for green shoots in summer, bulbs in autumn. Turnip ― Winter crop in mild-winter areas. Where winters are cold, plant in early spring for summer harvest.